The Santee Lakeside Rotary and The Santee Lakes Foundation present the 9th Annual 2019 Concert at the Lakes. This great event supports Youth Programs, Scholarships and Family Recreation in the Santee and Lakeside Communities. 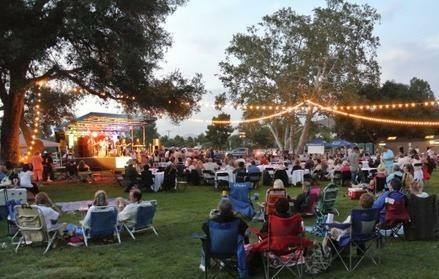 Spend the evening enjoying great music under the stars at beautiful Santee Lakes. Tickets always sell out so purchase them early. It be hosted again by San Diego Legend ShotGun Tom Kelly. Dinner tickets are $65.00, Lawn Tickets just $35.00. Gates will open at 4:00 pm for Dinner. The Concert starts at 6:00 pm. Log onto www.concertatthelakes.com/​ for more information. Don't be Square - See you there!